NEW YORK — There is an old Irish saying that applies to UConn coach Jim Calhoun and his elephant-like memory. “The Irish forgive but never forget, and they only say they forgive,” Jeff Calhoun, the coach’s son and a former UConn guard, said Tuesday over breakfast at a lower Manhattan cafe. 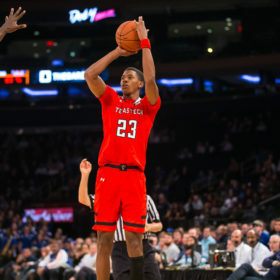 A year ago, journalists and pundits were writing Calhoun’s team off after the Huskies crashed and burned at the hands of St. John’s in the first round of the Big East Tournament and then landed in the NIT. Smith remained committed to UConn and a year later the Huskies are in the midst of a magical run that has taken them to their fourth Final Four since 1999. Kemba Walker and Company have won nine straight postseason games entering Saturday’s national semifinal against Kentucky at Reliant Stadium in Houston. Butler will play VCU in a battle of mid-major surprises in the first semifinal. “It’s one of those things where it’s extra sweet,” Jeff Calhoun said. The last year or so have not been easy on his father. First there were the reports last season that UConn had committed NCAA violations related to its recruitment of guard Nate Miles. 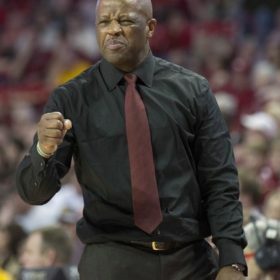 That led to the NCAA Enforcement Division this year ruling that Calhoun was not directly responsible for the extra phone calls and other violations committed by assistant coaches and a former student manager. Still, he must serve a suspension next season for the first three Big East games of the season. Calhoun’s old college roommate, Bob Samuelson, died before the season began, the New York Post reported. And his sister-in-law, Eileen (McDevitt) Fucile, passed away in the middle of the year, causing Calhoun to miss one game. In the midst of all this doom and despair came Kemba Walker and this tremendous run to lift Calhoun’s spirits. 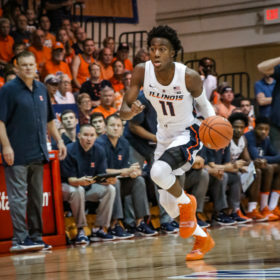 “Obviously, it all starts with Kemba and he’s such a good kid and he’s played so well, I think it’s put [Calhoun] in a place where he’s very excited,” Jeff said. 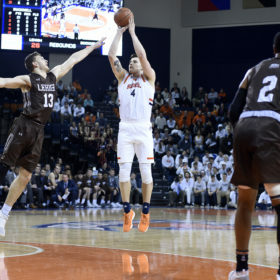 Jeff said the additions of former UConn guard Kevin Ollie and former assistant Glen Miller to the coaching staff have also rejuvenated his father, who turns 69 in May. “There were more guys from the past and it just all seems to have all kind of come together this year,” Jeff said. Now here comes John Calipari and the Wildcats, featuring two guards in Brandon Knight and Doron Lamb of Queens who spurned UConn in favor of Kentucky. The frosty relationship between Calhoun and Calipari dates back to Calipari’s tenure at UMass in the early 1990s when the two men battled over everything from recruits to the series between the two schools to how each handled the media. Still, Jeff said he and his family may feel more antipathy toward Calipari than Jim does. “My brother, my mother [Pat] and I, anybody that’s ever said anything about him, we harbor those things almost more,” Jeff said. No one expected this UConn team to be back in the Final Four, not Gottlieb, not the national writers who speculated last year that Calhoun might not return this season. The Huskies were picked 10th in the Big East coaches’ poll and finished this season ninth. “We didn’t really go anywhere, we just reloaded for a year,” Jeff said. “I think five times out of the last decade we’ve been in the Elite Eight. We’ve gone to three Final Fours and lost twice. Calhoun can be known as a grumpy curmudgeon at times, but you can hear the joy in his voice when he talks about this current team. 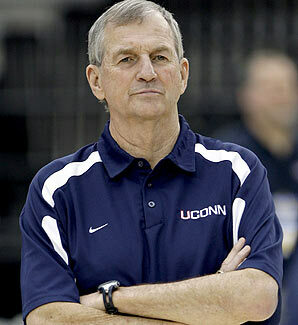 If Kemba and the Huskies were to win it all this year, would Calhoun consider riding off into the sunset and retiring? At that point, he would be the oldest coach ever to win an NCAA championship, the owner of three national titles and could head to the golf course on top. His son doesn’t think so. 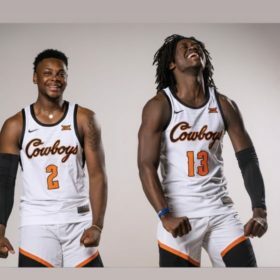 His father has three years left on his current contract, and Jeff things he’ll probably stay at least to finish it out through the 2013-14 season. Even though the Huskies will lose Walker to the NBA, they have scoring sensation Ryan Boatright of Illinois coming in next year. Smith, Shabazz Napier and sensational wing Jeremy Lamb will all be a year older and more experienced, as will 6-9 sophomore Alex Oriakhi. A year from now, UConn could be the favorite to land in-state sensation Andre Drummond, a 6-10 center from St. Thomas More (Conn.) ranked the No. 1 prospect in the Class of 2012. As Calhoun heads into yet another Final Four, that chip remains squarely on his shoulder.